“Molestation: Assault or abuse (a person, specially a woman or a child) sexually.” When is a sexual act considered Molestation? When it is without consent. Was she asking for it? No she wasn’t. You think she’s slutty? Her neck line is too low? That’s her choice. She could be married to you and yet if she says no and you force her, you’re molesting her. To be honest, for me, our cultural upbringing is my problem. Girls shouldn’t drink and girls shouldn’t smoke. Girls shouldn’t party. Girls sh\”Molestation: Assault or abuse (a person, specially a woman or a child) sexually.\” When is a sexual act considered Molestation? When it is without consent. Was she asking for it? No she wasn\’t. You think she\’s slutty? Her neck line is too low? That\’s her choice. She could be married to you and yet if she says no and you force her, you\’re molesting her.\nTo be honest, for me, our cultural upbringing is my problem. Girls shouldn\’t drink and girls shouldn\’t smoke. Girls shouldn\’t party. Girls shouldn\’t work late. Girls shouldn\’t wear short clothes. If your upbringing teaches your kids that boys are different to girls and girls aren\’t allowed to do the things boys are – then I\’m sorry but you\’re doing something wrong as a parent.\nWhy is it that when girls are out at odd hours, everyone always says \”let me drop you, it\’s unsafe\”. It\’s unsafe? Who is making it unsafe? It\’s not me…It\’s not her. It\’s someone else. Someone who is stereotype. A hypocrite. Don\’t you think it\’s about time that when,we start asking to drop HIM home instead, because it\’s unsafe? He could molest a girl. There\’s more possibility of that! If you can imagine her being raped & offer her a ride home, you bloody well should offer the men one too. Maybe that should be a fix to the problem, instead of our freedom.\nWe people talk about equality that girls and boys are equal and what not. But then why are we putting burden on female fraternity.\nThis needs to stop. Just stop. Women, all over the country, don\’t deserve this. Women don\’t deserve to be molested, abused, felt up the wrong way. You\’re offering us our lives, at the cost of our freedom. Not anymore. It\’s time we #SpeakUp.\n#westandup.\nouldn’t work late. Girls shouldn’t wear short clothes. If your upbringing teaches your kids that boys are different to girls and girls aren’t allowed to do the things boys are – then I’m sorry but you’re doing something wrong as a parent. Why is it that when girls are out at odd hours, everyone always says “let me drop you, it’s unsafe”. It’s unsafe? Who is making it unsafe? It’s not me…It’s not her. It’s someone else. Someone who is stereotype. A hypocrite. Don’t you think it’s about time that when,we start asking to drop HIM home instead, because it’s unsafe? He could molest a girl. There’s more possibility of that! If you can imagine her being raped & offer her a ride home, you bloody well should offer the men one too. Maybe that should be a fix to the problem, instead of our freedom. We people talk about equality that girls and boys are equal and what not. But then why are we putting burden on female fraternity. This needs to stop. Just stop. Women, all over the country, don’t deserve this. Women don’t deserve to be molested, abused, felt up the wrong way. You’re offering us our lives, at the cost of our freedom. Not anymore. 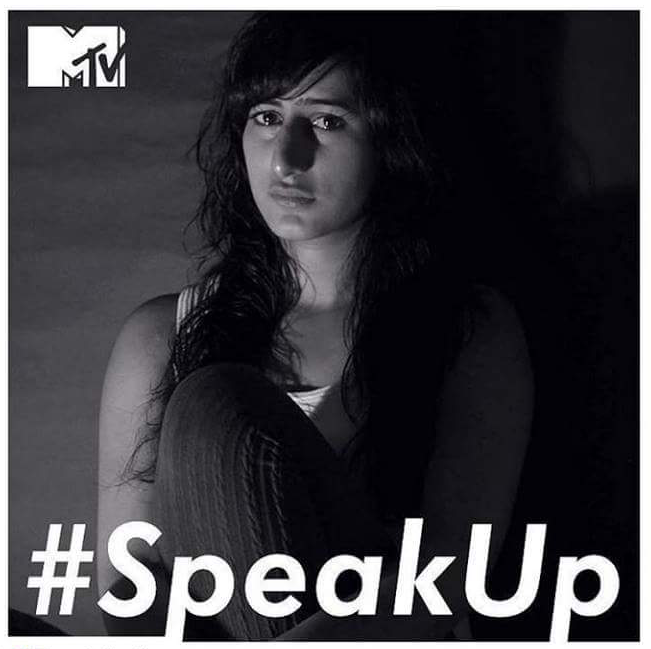 It’s time we #SpeakUp.